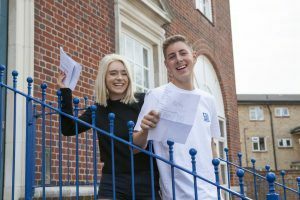 Every year Brampton College students are rewarded with securing CF and CI places at top UK universities, and 2016 was no different. Universities based in London were extremely popular with our students again this year, as across the city the institutions combine to provide a wide range of degrees. A total of 38 of our students will be starting their lives as undergraduates in London in 2016, studying subjects such as Medicine, Neuroscience and Engineering. Brampton has placed 12 at King’s College London; 10 at University College London as well as London School of Economics, Imperial College and Queen Mary (which are all Russell Group Universities). This year, The University of Nottingham was the favourite destination, with 19 of our students starting there this autumn. They will be studying degrees which range from Economics, Politics & Environmental Geoscience, to Pharmacy, Physics and Psychology and many other subjects. The University of Birmingham also continues to be a strong favourite for applications from Brampton College. This year we have students who have succeeded in securing places for Biological Sciences, Biochemistry, Biomedical Science, PPE, Sociology and Economics. Sussex has also been a popular choices where the degrees that they will be studying are varied; Politics, PPE, Psychology, International Development, Economics and Finance, Geography and International Relations and Media & Communication. As well as placing a high proportion of our students at top universities, the range of degree courses is striking. These include: Medicine (4 placed); Dentistry (3 placed); Economics (8 placed); Psychology (7 placed); Computer Science (5 placed) as well as 4 students placed in each subject for: Neuroscience, Pharmacy, Chemistry, Physics and History. The most popular area this year was Accounting/Finance/Business Management – with a total of 16 of our students obtaining places at Nottingham, York and Bristol. Despite universities lifting the cap on numbers of students in to courses, restrictions on the more competitive degrees are still in place, so we warmly congratulate all of our students’ achievements which have been won by hard work and dedication.